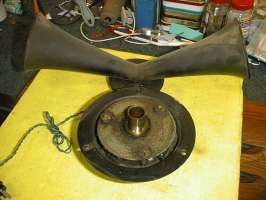 This Leslie rotating Horn and driver came in this dirty. 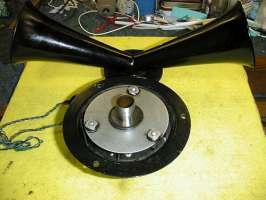 Has your Motion-Sound speaker stopped rotating? Has your Fender Super Reverb stopped reverberating? Is your guitar amp squaking instead of singing? Has your Leslie developed a rubbing sound when it spins? Did you just buy an old cabinet that you need connected to your keyboard? Keyboard Service has the expertise you are searching for. Or, just bring it in to 6061 Lake Murray Blvd. in La Mesa.